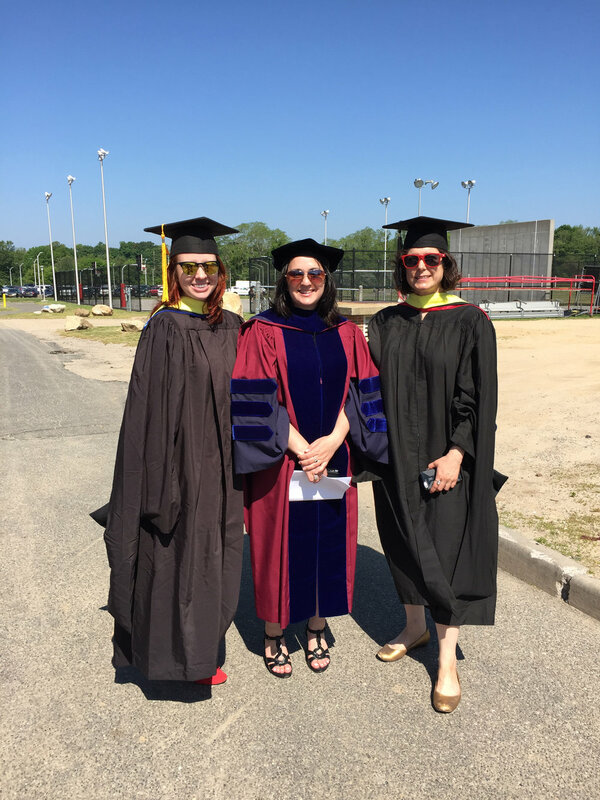 On Friday May 19th, Stony Brook University graduated its 57th class in the university's Kenneth P. Lavalle stadium. I decided to walk with the faculty to support the graduates and represent the library at the commencement ceremony. Librarian colleagues Kate Kasten and Victoria Pilato also walked! Two honorary degrees were awarded: one to Michael J. Fox for his philanthropy; and one to Jonathan Oringer, creator of Shutterstock, and SBU class of '96!